LENEXA, KAN. – As part of a two-phase re-roofing project, two dozen townhomes at Buckhorn – Bachelor Gulch now have impact-resistant DaVinci Roofscapes® Multi-Width Shake roofs overhead. 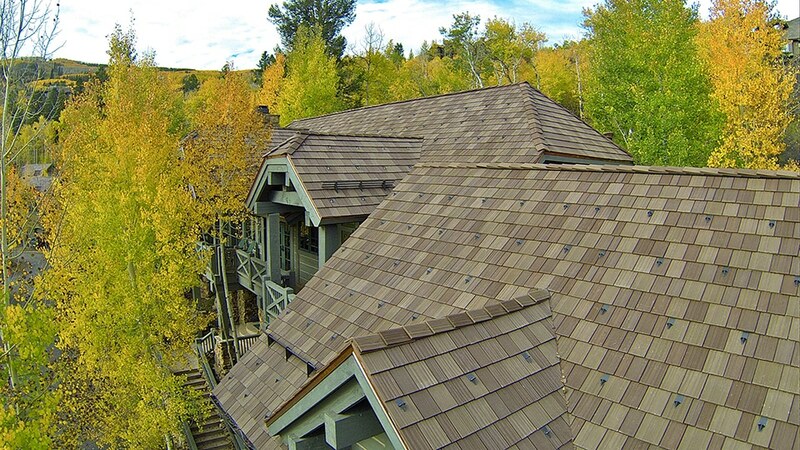 Between August of 2013 and October of 2014, more than 77,000 square feet of the polymer shake roofing tile was installed by Umbrella Roofing. 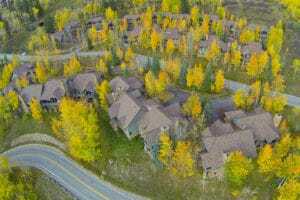 Umbrella Roofing has 35 employees, many of those team members worked on the re-roofing project at Buckhorn – Bachelor Gulch.